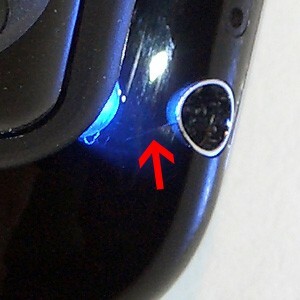 In what appears to be an increasingly common problem, hairline cracks are beginning to form on Apple's new iPhone 3G. While most of the cracks are reportedly affecting the white model, this is likely due to the increased visibility of the dark fracture on the white case as opposed to any differences in materials between the white and black units. At the moment, the issue seems largely cosmetic and doesn't appear to interfere with the operation of the phone. Now bust out the magnifying glass and let us know if you're seeing the same. Update: Reader Darius shows off a whisker crack on his kid-glove handled black iPhone 3G with the help of some blue lighting -- meow. See it after the break.